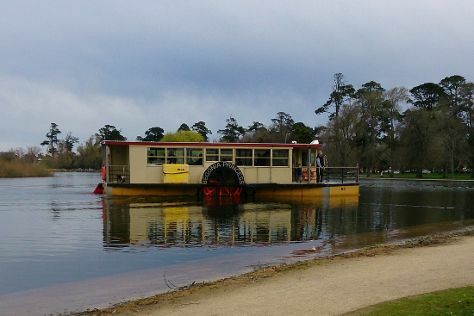 On the 15th (Mon), take in nature's colorful creations at Ballarat Botanical Gardens, look for all kinds of wild species at Lake Wendouree, and then identify plant and animal life at Ballarat Wildlife Park. For maps, where to stay, more things to do, and tourist information, read our Ballarat online route planner . Perth to Ballarat is an approximately 8-hour combination of flight and shuttle. You can also take a train; or drive. The time zone difference when traveling from Perth to Ballarat is 2 hours. Prepare for a bit cooler weather when traveling from Perth in April: high temperatures in Ballarat hover around 24°C and lows are around 11°C. Cap off your sightseeing on the 15th (Mon) early enough to travel back home.